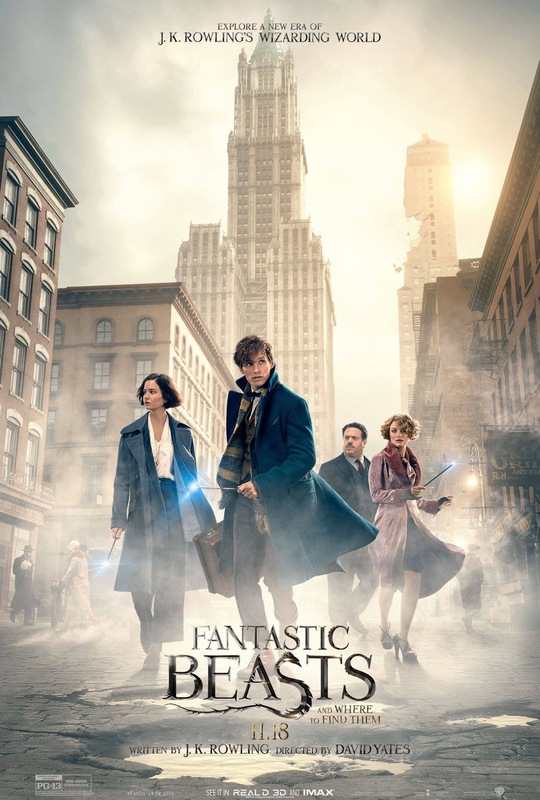 5 years after the last Harry Potter film was released, once again HP die hard fans are feasted with a magical HP spin off - Fantastic Beast and Where to Find Them. My first thought after watching the movie. 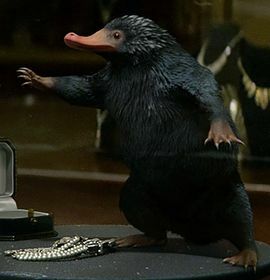 OMG can I have a Niffler?!!!! I couldn't resist the quirkiness and cuteness of this rodent like creature which responds to shiny stuffs. And I'm a person with high expectation. I've seen so many magical movies, non of them can beat any J.K.Rowling's masterpiece. People say sky is the limit for creativity, well I say Rowling's imagination is infinite. I don't think anyone in the universe can produce greater work than her. The poster alone is damn wicked! The cinematography, cast, plot, everything, it's just too overwhelming for a pottermore like me. I was completely immersed in the story as if I was in there. The story started off with a few escaped creatures on the loose, and the key characters are on the pursuit to find them. Some of the beast are adorable like the Niffler, some require certain embarrassing actions to catch them like the Erumpent, and some are very useful like a Bowtruckle, a stick insect like creature which unlocked Newt's chain during a crucial moment. Then we have some deadly creatures as well. Instead of an acromantula or a basilisk, there's obscurus which is the dark element of this movie. It looks kinda like a dementor. As you watch the movie, you'll notice there are a few differences between the American and British wizarding world, like no-maj vs muggles, Ilvermony vs Hogwarts (still the best school), and MACUSA vs Ministry of Magic. 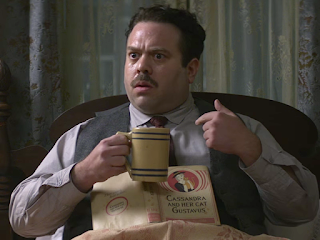 Out of all the key characters in Fantastic Beast, I particularly like Jacob Kowalski. Jacob is an important character, he is a representation of us, a no-maj. His expressions upon seeing these magical wonders are definitely spot on. I would totally trade anything to be in his shoes, even for a millisecond. Oh thank you thank you so much J.K.Rowling. You're the reason I still believe in magic. Please continue to produce jaw-dropping, mind boggling, heart pounding magical work of art. Next movie on the list : Disney's Moana!